In May 2018 the latest consumer test results from the German test institutes Stiftung Warentest/ADAC were published. As the first booster seat in the world approved to the new regulation, the BeSafe iZi Flex FIX i-Size ADAC results also show fantastic scores in side impact protection and an overall good result. Being the very first and still the only UN R129-approved high back booster seat in the market, iZi Flex FIX i-Size has passed these very demanding and complex approval criteria. When we developed iZi Flex according to the new regulation, the demands on us as the manufacturer were extremely high, not only for side impact protection. 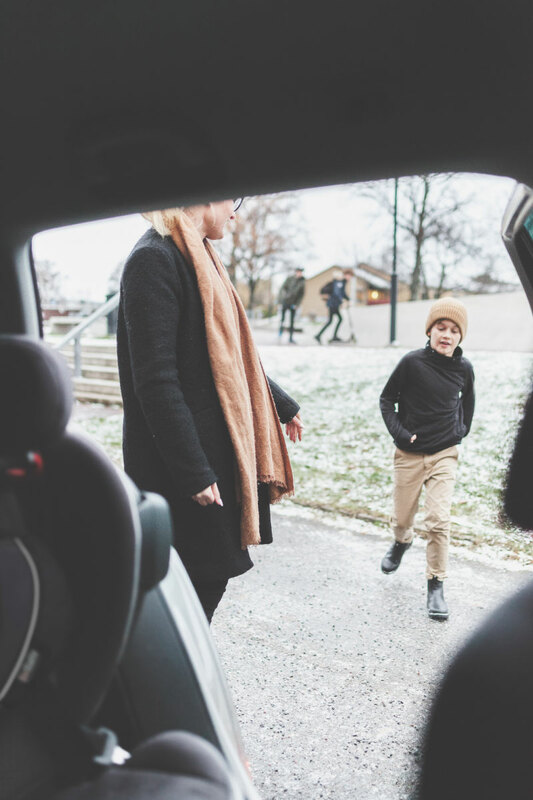 During the development process we not only considered laboratory testing but mainly focussed on real-life situations and real-life accidents – so that we developed smart solutions that make sure to provide the child with the highest safety in real life. In this year’s ADAC test, BeSafe iZi Flex FIX i-Size achieved the top-score of 1,2 (”Very Good”) in the side impact crash test – no other booster seat in the test scored better than iZi Flex FIX i-Size. However, it is even more outstanding that iZi Flex FIX i-Size is the only seat in the market that combines this very good side impact protection with great results in ‘space for the child’ and taking up little ‘space in the car’. We are very excited for having launched a booster seat that offers one of the highest side impact protections without having to compromise on either comfort for child or user-friendliness. At BeSafe, we have recognized and understood the importance of side impact protection many years ago, which is why we have developed the additional side impact protection SIP+, a feature included on iZi Flex FIX i-Size and several other BeSafe seats. Safety is and has always been BeSafe’s main priority. For us, safety is not just about performing well in a crash test environment, it’s about real life accidents and everyday usage to make sure that our car seats are performing their best when really needed. With iZi Flex FIX i-Size we have found the perfect balance, something that this year’s test from ADAC proves. iZi Flex FIX i-Size achieved the total safety score ”Good”. When we developed iZi Flex FIX i-Size, we made a conscious choice based on reality. By adding a reclining position, we added comfort of the child but more importantly increased real-life safety by helping their head and upper body to stay within the seat’s protection when sleepy in the car. A decision that does make a difference in real life situations but can lead to a slightly lower score in some laboratory based crash-test frontal impacts, as the testing set-up only reflects very specific and controlled conditions. In this year’s ADAC test, BeSafe was not represented with a car seat in the toddler segment. In 2016 the purely rear facing BeSafe iZi Kid X2 i-Size scored the historic safety score of 1,1 – a result that is still unbeaten to this day. With the BeSafe iZi Flex FIX i-Size ADAC participation in 2018, BeSafe is now the first manufacturer in the world to offer a fully approved and independently tested UN R129-product range from 0-12 years.